Who & What Do Osteopaths Treat ? Who Do Osteopaths Treat ? Osteopaths treat people of all ages, from all walks of life including manual workers, office workers, pregnant women, and sports people. What Conditions Do Osteopaths Treat ? Can anyone call themselves an Osteopath ? No. 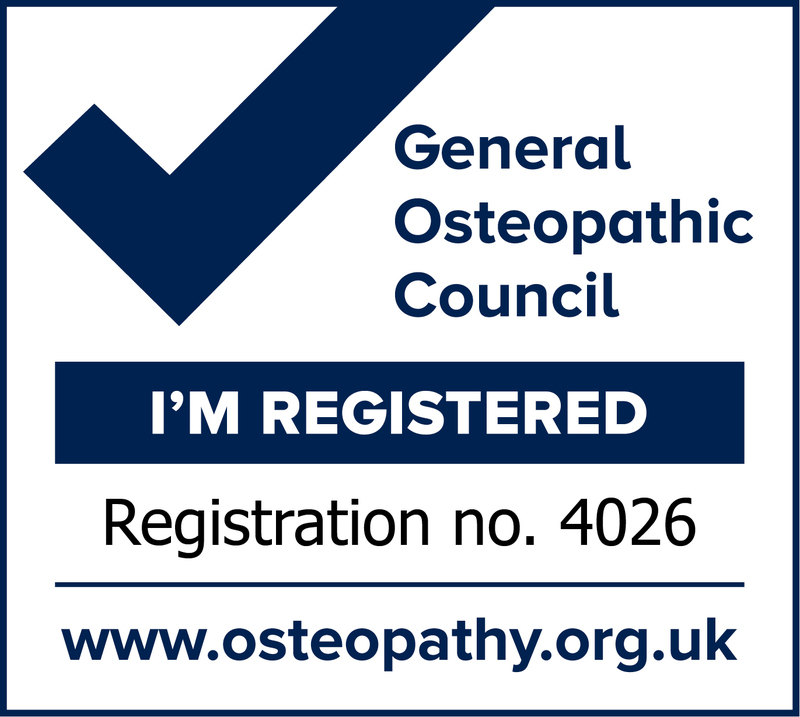 In order to use the legally protected title of "Osteopath" a person must have completed an approved course lasting a minimum of four years and be registered with the General Osteopathic Council (GOsC). Jackie completed a five year course. To retain membership of the GOsC, and therefore of the title of Osteopath, a person must complete specified training each and every year. Osteopaths work to restore your body to a state of balance, where possible without the use of drugs or surgery. Osteopathy is a safe, gentle form of manual therapy suitable for patients of any age. Using touch, physical manipulation, stretching and massage an osteopath can increase the mobility of joints, relieve muscle tension, enhance the blood and nerve supply to tissues, and help your body’s own healing mechanisms. They may also provide advice on lifestyle, posture and exercise to aid recovery, promote health and prevent symptoms recurring. People often consult their osteopath to relieve pain or return to their normal daily activities after injury. Osteopathy can be a very effective treatment to help you to rehabilitate in this kind of event, but osteopathy can also help contribute to your health in many other ways. One of the basic concepts underpinning osteopathy is to treat the individual in relation to the environmental factors that will influence their health in order to promote the optimum conditions for maintaining good health. In the same way that many people visit their dentist to reduce the likelihood of requiring a filling, an occasional check-up with an osteopath allows potential problems to be detected and treated before they become an issue. In any case, early intervention is key and makes a swift and full recovery much more likely. So if you suffer from occasional discomfort, consider consulting an osteopath, as preventative treatment and advice can be a worthwhile investment in your long-term health. Osteopathy can be used alone or as a compliment to other conventional and alternative medical therapies. The National Institutes of Clinical Excellence (NICE) advises that GPs can safely refer patients to an osteopath for treatment. Osteopathy is available on the NHS in some areas of the UK.